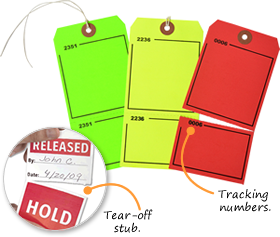 Multi-Part Inspection Tags bring you a carbon-free tag that lets you keep a copy for your records. 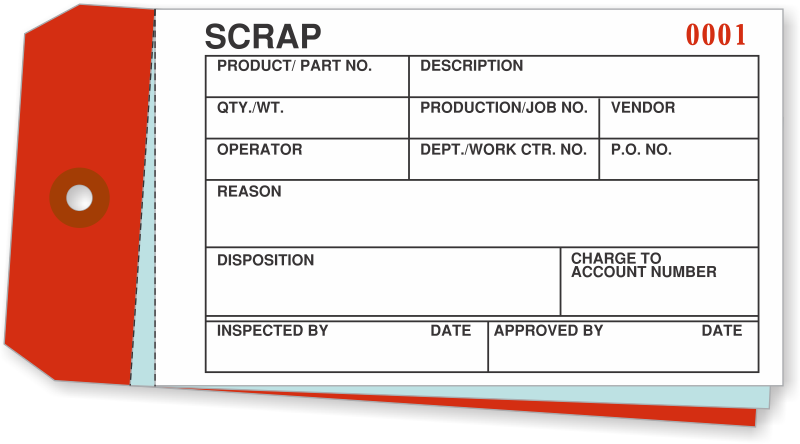 Choose from a variety of perforated and multi-layered tags that help you keep a clean record of inspection, on your equipment and in your records. 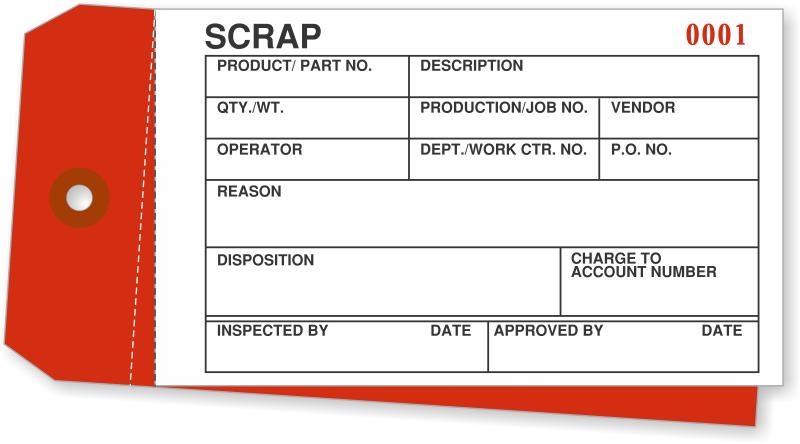 Write in your maintenance and inspection details directly on each tag. • Tag-in-a-Box® tag dispensers let you grab a tag without the mess - this convenient storage box can make on-site tagging and tag storage more effective. • Both cardstock and vinyl tags are available to suit your particular environment. • Pre-numbered tags feature a consecutive and uniquely numbered set. 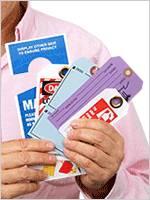 • Use a pen, pencil or marker on any of our multi-part inspection tags. 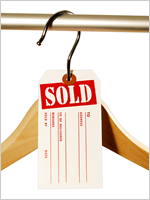 • Tags have sequential numbers on the tag as well as on the tear-off stub. 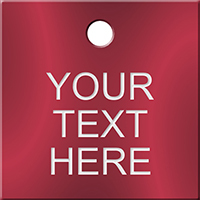 Tags are available in size # 7 (5¾" x 2-7/8") and are one side printed. 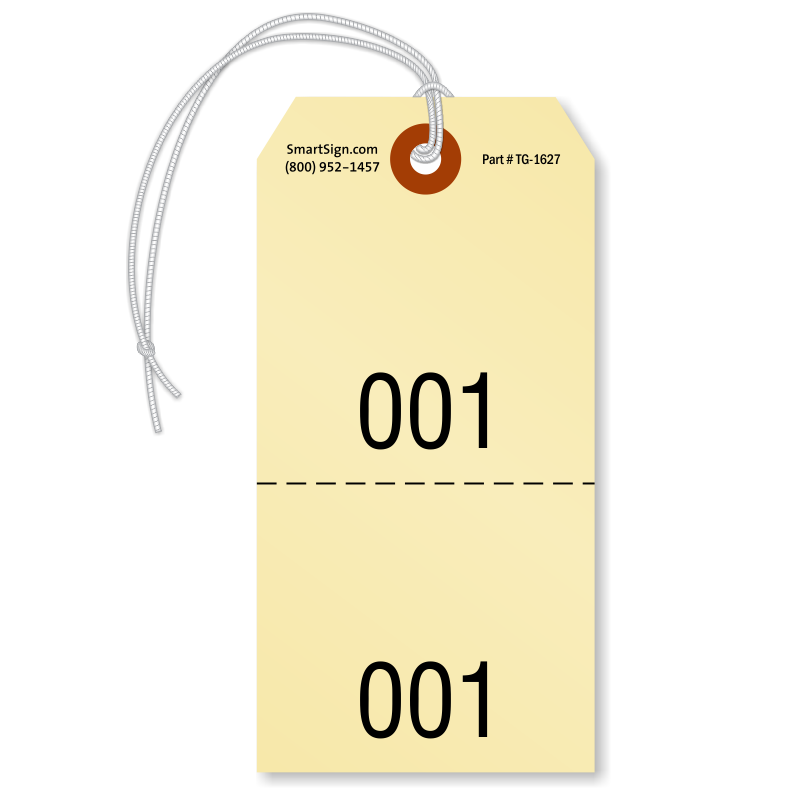 • Each tag has a unique and sequential number. Tear-off the perforated bottom stub of the tags and use it for your records.